What is There to Know About Meerkats? 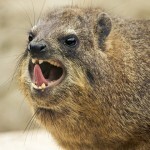 The meerkat is a small, fascinating mammal belonging to the mongoose family. Meerkats live in all parts of the Kalahari Desert in Botswana, in much of the Namib Desert in Namibia and southwestern Angola, and in South Africa. A group of meerkats is called a “mob,” “gang” or “clan.” A meerkat clan often contains about 20 meerkats, but some super-families have 50 or more members. In captivity, meerkats have an average lifespan of 12–14 years, but only about half this in the wild. The meerkat only weighs in at about 731 grams (1.612 lb) for males and 720 grams (1.59 lb) for females. 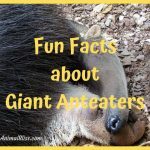 Its total body length, including limbs, is about 25 to 35 centimeters (9.8 to 13.8 in) and an added tail length of 17 to 25 centimeters (6.7 to 9.8 in). The tail is long and thin and tapers to a black or red-colored pointed tip. The meerkat uses its tail to balance when standing upright, as well as for signaling. Its face tapers, coming to a point at the nose, which is brown. The eyes always have black patches around them, and they have small black crescent-shaped ears that can close to exclude soil when digging. Meerkats have binocular vision, a large peripheral range, depth perception, and eyes on the front of their faces. Meerkats have strong, non-retractable claws, 2 centimeters (0.79 in) long, used for digging burrows, hunting for prey, and climbing trees. 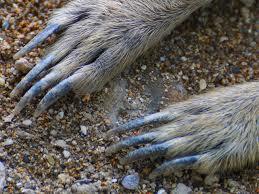 Meerkats have four toes on each foot and long slender limbs. The coat is usually fawn-colored peppered with gray, tan, or brown with a silver tint. 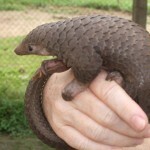 They have short parallel stripes across their backs, extending from the base of the tail to the shoulders. The patterns of stripes are unique to each meerkat. The underside of the meerkat has no markings, but the belly has a patch which is only sparsely covered with hair and shows the black skin underneath. The meerkat uses this area to absorb heat while standing on its rear legs, usually early in the morning after cold desert nights. Meerkats are primarily insectivores, but also eat other animals (lizards, snakes, scorpions, spiders, plants, eggs, small mammals, millipedes, centipedes and, more rarely, small birds) and fungi. Meerkats are immune to certain types of venom, including the strong venom of the scorpions of the Kalahari Desert, unlike humans. Meerkats need to forage for food every because they have no excess body fat stores. Meerkats forage in a group with one “sentry” on guard watching for predators while the others search for food. Sentry duty is usually approximately an hour long. A meerkat can dig through a quantity of sand equal to its own weight in just seconds. Baby meerkats do not start foraging for food until they are about one month old and do so by following an older member of the group who acts as the pup’s tutor. The meerkat standing guard makes peeping sounds when all is well. If the meerkat spots danger, it barks loudly or whistles. The main animals that prey on meerkats are martial eagles and jackals. Meerkats sometimes die of snakebite in confrontations with snakes (puff adders and Cape Cobras), but the snake does not then eat the meerkat. Meerkats become sexually mature at about one year of age and can have one to five pups in a litter, with three being the most common litter size. Wild meerkats may have up to four litters per year. Meerkats can reproduce any time of the year, but most births occur in the warmer seasons. The pups are allowed to leave the burrow at three weeks old. When the pups are ready to emerge from the burrow, the whole clan of meerkats will stand around the burrow to watch. Some of the adolescents might try to show off so they can have more attention than the pups. 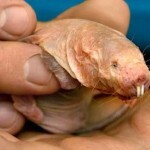 Gestation lasts approximately 11 weeks, and the young are born within the underground burrow and are (undeveloped). 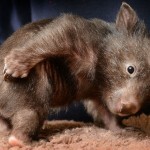 The young’s ears open at about 15 days of age, and their eyes at 10–14 days. Meerkats are weaned at 49 to 63 days. They do not come above ground until at least 21 days of age and stay with babysitters near the burrow. After another week or so, they join the adults on a foraging party. Usually, the alpha pair reserves the right to mate and kills any young not its own, to ensure that its offspring has the best chance of survival. The dominant couple may also evict, or kick out the mothers of the offending offspring. If the members of the alpha group are relatives (this tends to happen when the alpha female dies and is succeeded by a daughter), they do not mate with each other. Reproduction is by group females stray-mating with roving males from other groups. In this situation, pregnant females tend to kill and eat any pups born to other females. Meerkats are small burrowing animals, living in large underground networks with multiple entrances which they leave only during the day. 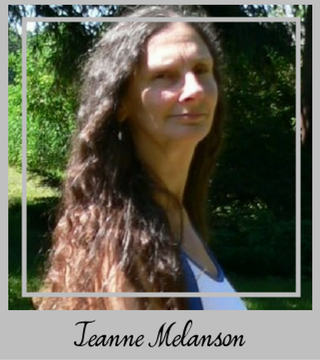 They are very social, living in colonies averaging 20–30 members. Animals in the same group regularly groom each other to strengthen social bonds. The alpha pair often scent-mark subordinates of the group to express their authority, and this is usually followed by the subordinates grooming the alphas and licking their faces. This behavior is also often practiced when group members have reunited after a short period apart. 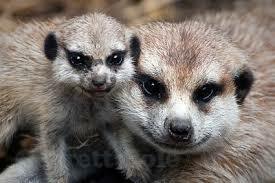 Most meerkats in a group are all siblings or offspring of the alpha pair. Meerkats demonstr ate altruistic behavior within their colonies; one or more meerkats stand sentry, while others forage or play, to warn them of approaching dangers. When a predator is spotted, the meerkat performing as sentry gives a warning bark, and other members of the gang will run and hide in one of the many bolt holes they have spread across their territory. The sentry meerkat is the first to reappear from the burrow and search for predators, always barking to keep the others underground. 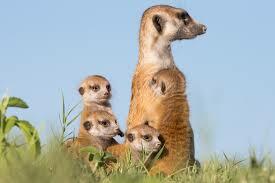 If there is no threat, the sentry meerkat stops signaling, and the others feel safe to emerge. Meerkats also babysit the young in the group. Females that have never produced offspring of their own often lactate to feed the alpha pair’s young, while the alpha female is away with the rest of the group. They also protect the young from threats, often endangering their lives. On warning of danger, the babysitter takes the young underground to safety and is prepared to defend them if the danger follows. If retreating underground is not possible, she collects all young together and lies on top of them. Meerkat young learn by observing and mimicking adult behavior, though adults also engage in active instruction. 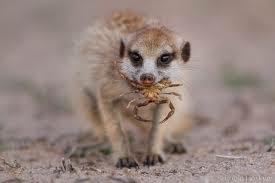 For example, meerkat adults teach their pups how to eat a venomous scorpion: they will remove the stinger and help the pup learn how to handle the creature. Despite this altruistic behavior, meerkats sometimes kill young members of their group. Subordinate meerkats have been seen killing the offspring of more senior members to improve their own offspring’s position. Meerkat calls may carry specific meanings, with particular calls indicating the type of predator and the urgency of the situation. Meerkats also make panic calls, recruitment calls, and moving calls. They chirrup, trill, growl, or bark, depending on the circumstances. Meerkats make different alarm calls depending on whether they see an aerial or a terrestrial predator. Acoustic characteristics of the call will change with the urgency of the potential predatory episode. Therefore, six different predatory alarm calls with six different meanings have been identified: aerial predator with low, medium, and high urgency; and terrestrial predator with low, medium, and high urgency. Meerkats respond differently after hearing a terrestrial predator alarm call than after hearing an aerial predator alarm call. For example, upon hearing a high-urgency terrestrial predator alarm call, meerkats are most likely to seek shelter and scan the area. 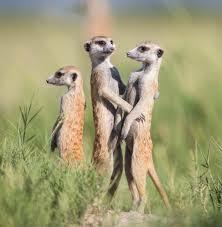 On the other hand, upon hearing a high-urgency aerial predator alarm call, meerkats are most liable to crouch down. On many occasions under these circumstances, they also look towards the sky. A meerkat group may die out because of predator attack, its alpha pair being unable to breed, starvation due to drought, or epidemic disease. 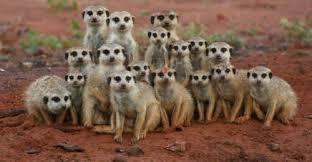 A new meerkat group often arises from evicted females meeting and staying with roving males, seeking to mate. The litter size is usually 2–5 pups. 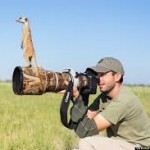 See also: Meerkats Using Photographer to Get a Better View, How cute is that?